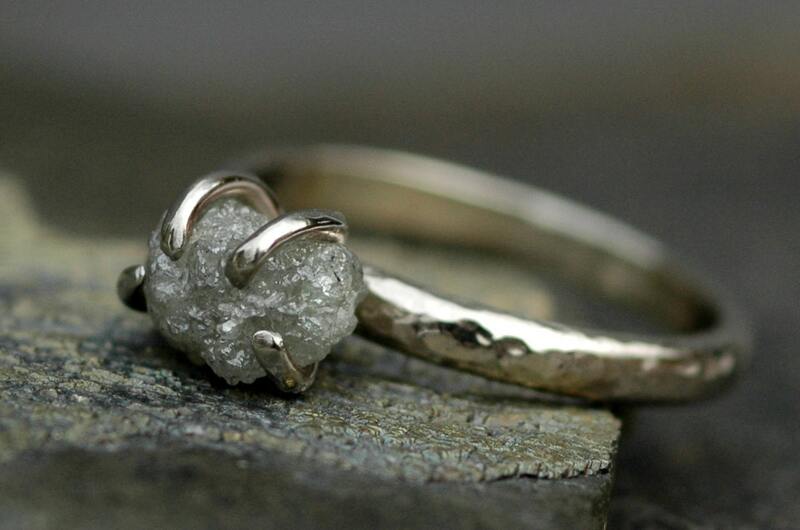 The rough diamond and recycled gold engagement and wedding rings seen in this listing have been sold. 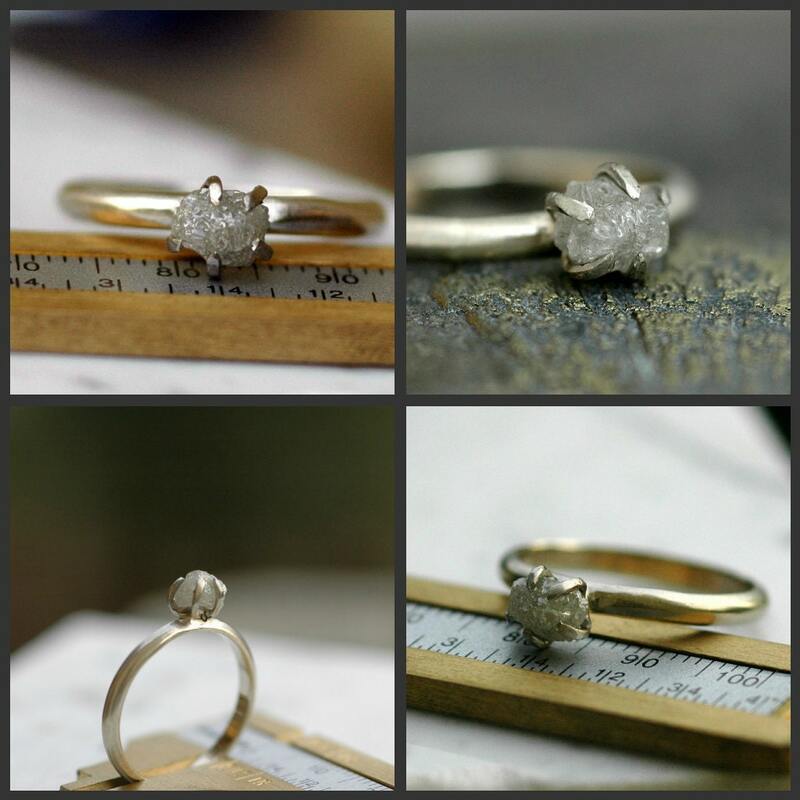 The photos have been used to give you an idea of how your ring will appear once made. 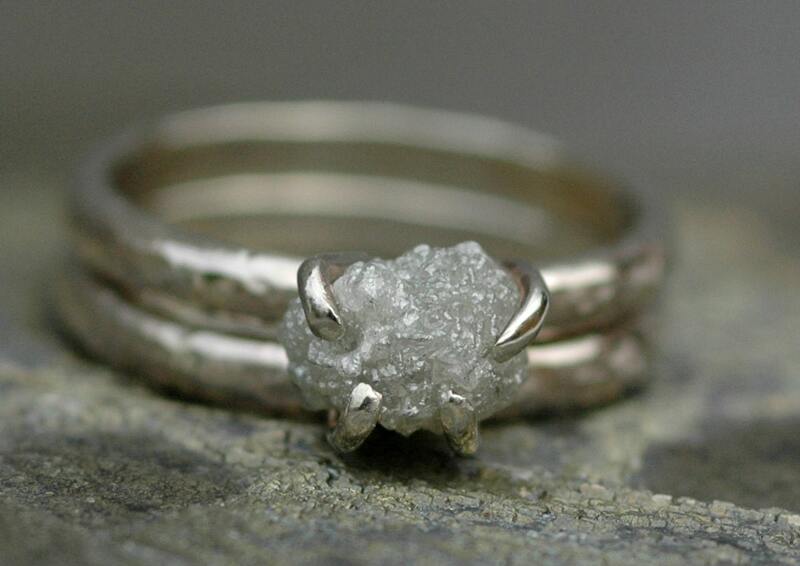 As rough diamonds are all incredibly unique formations, your ring will be a one-of-a-kind piece. This ring set is perfect for everyday wear. The construction and the diamond are incredibly durable. 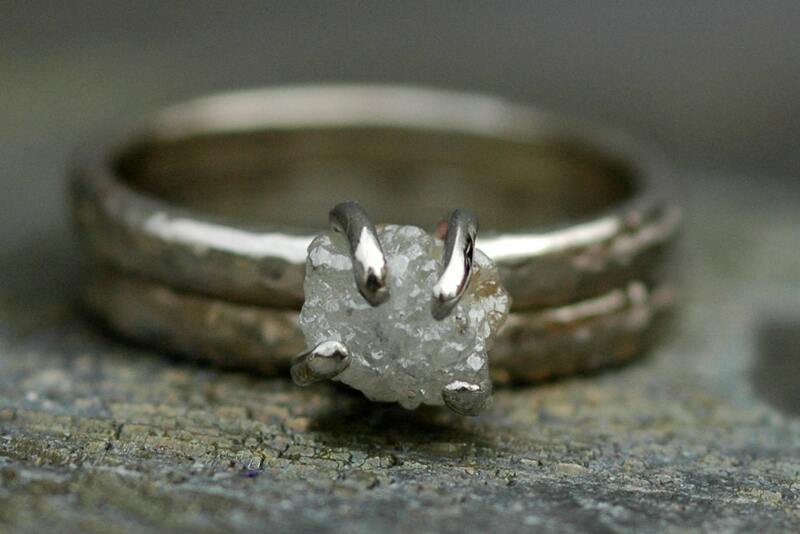 These also make fabulous engagement rings for those of you looking for a more organic and natural-looking ring at an affordable price. The rings in this listing are sold, and the photos are used to show you an example of how they can appear when built. All of the rings in these photos were built of white gold, but this ring set can also be made in 18k yellow gold or 18k rose gold (14k gold will be used for the prongs). Each of my diamonds is in its raw, natural formation. The diamonds in this listing are around 7-7.5mm across. 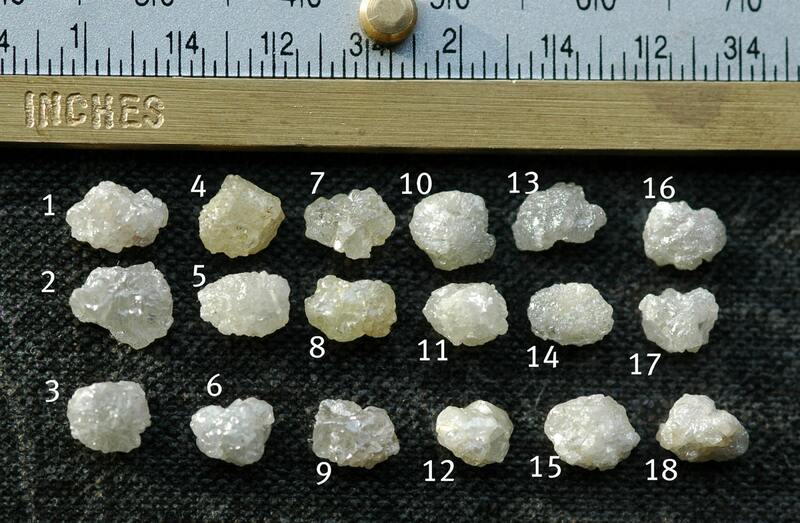 Please note: the photos show examples of the different diamond formations I have on hand. My diamond selection is ever-changing, but the photo will give you some ideas of the types for formations these diamonds come in. Please let me know if a certain shape or tone catches your eye- otherwise, I will use the nicest of the lot for your ring.